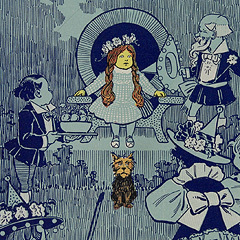 Though it has been depicted countless times on stage and screen, the marvelous land of Oz has an original and quite inventive color palette. 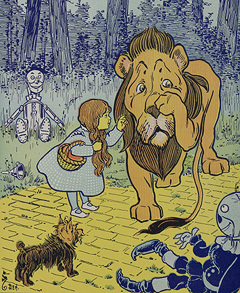 The genuine colors of the yellow brick road, the field of poppies, the Cowardly Lion's mane, the flying monkeys, Toto, and the great Emerald City are preserved in the very first printing of The Wonderful Wizard of Oz (1900). That edition of the book is preserved in the Library of Congress Rare Book and Special Collections Division, available for on-line viewing with extraordinarily high quality scans. 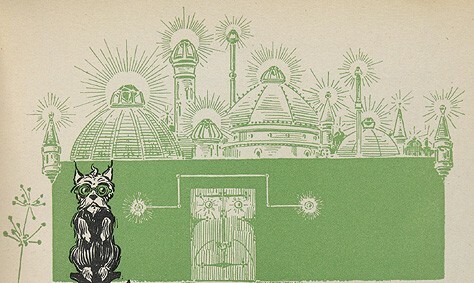 "The Wonderful Wizard of Oz was an innovative book not least because of the twenty four full colour plates and myriad monochromatic illustrations in which the colour changed according to the location in the story (Kansas = grey, Emerald City = green and so on). 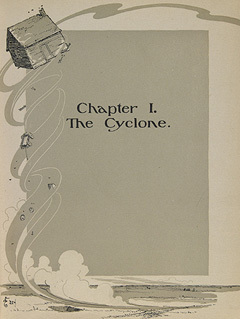 With the illustrative vignettes often encroaching on the text area, the type was cleverly printed over the top of the coloured images" (BiblioOdyssey). Without further ado, here are the official colors of this beloved classic. Wow. Wonderful colors. Thank you for bringing this to our attention. The colors are few and conservative, but they add such life and dimension to the illustrations-- and the fact that there were so few, so carefully chosen, adds great power to their conveyance of the story! Thank you for sharing this with us, Prof. Oddfellow! I always loved the ruby red slippers. awesome article! What a fabulous article! I love it. Beautiful colors! Mmm. Thanks for the link to the online viewing of the original first edition for this book. 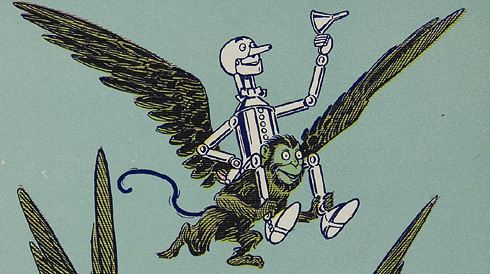 I love vintage illustration, and this is no exception. I think I liked Dorothy better as a tiny tot! Thank you for posting this! If only there were a reproduction of this edition available - I'd buy it in a second! Nice! 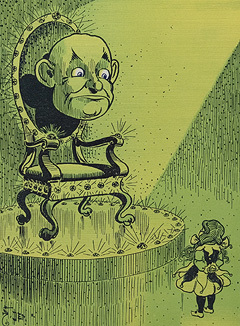 I had no idea these illustrations existed before. These colors are beautiful. No wonder this is popular again. The prints remind me of things from Anthropologie. I love this. I am a big fan of The Wizard Of Oz & Wicked, the musical & book so this is right up my alley. Great job and thanks so much for sharing these beautiful pictures with us. My hat is off to you Professor - not only for the brilliant article and beautiful colours, but for bringing an original version of a classic piece of literature to the forefront and reminding us of yet, another way to appreciate colour. 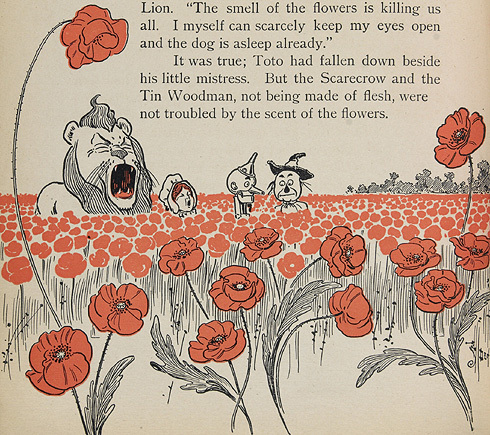 Really brought back memories of the classics that I read as a child with similar styles of illustrations. Danke! I love this post! Thank you for reminding me how much I loved this book.